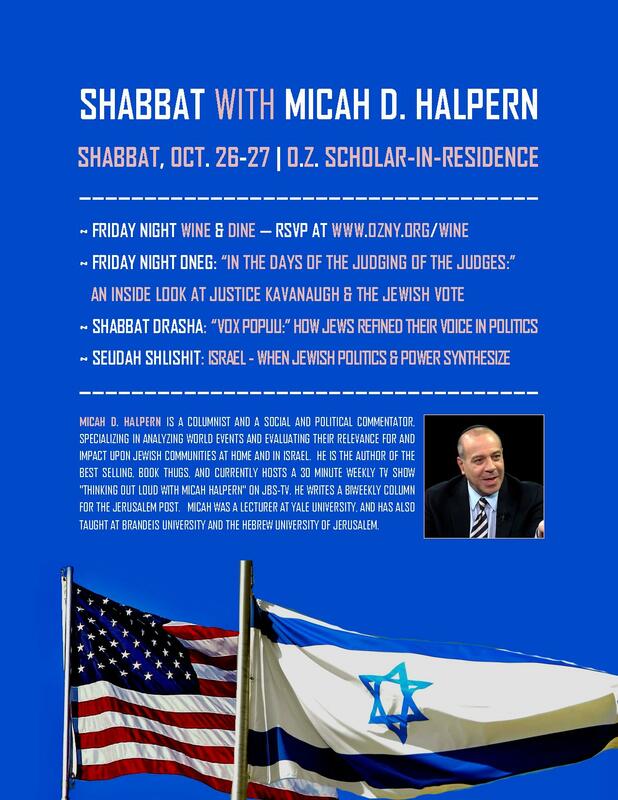 Micah D. Halpern is a columnist and a social & political commentator, specializing in analyzing world events and evaluating their relevance for - and impact upon - Jewish communities at home and in Israel. He is the author of the best selling, book THUGS, and currently hosts a 30 Minute weekly TV show "Thinking Out Loud With Micah Halpern" on JBS-TV. He writes a biweekly column for the Jerusalem Post. Micah was a lecturer at Yale University, and has also taught at Brandeis University and the Hebrew University of Jerusalem.